Here, in the fifteenth part, he recounts how the UK’s entry into the European Economic Community (EEC) altered the course of Rover-Triumph. But was it too little, too late? A decade after President Charles de Gaulle rejected Britain’s first attempt to join the Common Market, Britain joined the European Economic Community on 1 January 1973. This was the moment the British motor industry had campaigned long and hard for, an export bonanza was to be had. In a decade, the British motor industry would indeed be transformed, but not as the advocates of EEC membership had hoped for. In January 1973 Triumph in Coventry was the last remaining stronghold of piecework in the British Leyland empire. A year before the management had put forward proposals to replace piecework with a flat-rate system similar to those introduced at the group’s other car factories. Since then, there had not been a significant strike at Triumph and production had soared from 90,000 cars in the financial year 1969-70 to 127,000 in 1971/72. Shop Stewards who rejected the original flat-rate proposals candidly admitted that they were out to show management that piecework could produce results every bit as good as the new pay systems at Rover, Austin-Morris, Cowley and Longbridge, and the interim system being converted into a permanent pay structure at Jaguar Coventry. Bill Davis, Triumph’s Managing Director, insisted that he was not working to a timetable. ‘I have made it clear that it is my intention to introduce a new pay system similar to those now operating at sister companies. But we have not wasted the 12 months since we put our original proposals to employees,’ he said. When he arrived at Triumph from Longbridge in August 1970 the company was in the doldrums. Strikes and other problems had produced a substantial loss. In 1970/71 Triumph broke even and in the 1971/72 financial year it made a profit. Investment in Triumph: a bright future ahead! Doubts about its future had now been replaced by plans for major capital investment in new plant and machinery. In addition to its role as a member of the Specialist Car Division, Triumph was planning to extend its operations to become a major supplier of engines and axles to other companies in the group. In many ways Triumph was in a better position to make a flat rate work than its sister companies which had already converted. From top management to lowest charge hand all supervisory grades had been through at least two weeks intensive training. In this they had learnt from mistakes made elsewhere including Triumph’s own Liverpool plants where a flat rate had been introduced as long ago as May 1971. Only six months earlier Shop Stewards had made it plain that any attempt to replace piecework entirely would lead to a confrontation. Since then, there had been increasing signs that some stewards and rank and file workers were becoming resigned to the change. The fact that Triumph was now out on a limb as a piecework labour force had not been lost on employees. They had also been impressed by the forthright approach which Bill Davis, a production specialist, had brought to a company which employees themselves admitted was in a sorry mess from a labour relations standpoint. At meetings with union convenors Bill Davis had spelt out Triumph’s future model and marketing policy. He had related this to world car demand and estimated production capacity until 1975. ‘I took them completely into my confidence. They now know how bad things were here. 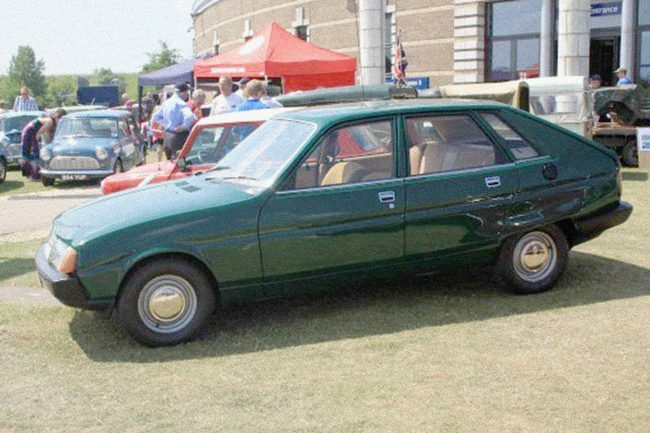 They now know that we are on the right path and that whether Triumph plays an increasingly important role in British Leyland or is relegated to the sidelines is dependent entirely on their cooperation,’ Davis said. Stokes gave a league table of the Big Four in the then-enlarged Common Market which showed Fiat leading with 15 per cent of the market followed by Ford of Europe – 12 per cent – Renault – slightly above 10 per cent – and British Leyland close behind with nearly 10 per cent. Lord Stokes pointed out that, since Europe bought eight million cars a year, an increase of only one per cent in the market share would be a lot of cars. ‘Imagine what we could do if we could get the cars out of the factory door,’ he said referring to labour troubles in and around the industry. On 14 March, it was announced that Sir George Farmer, Deputy Chairman of British Leyland and Chairman of Rover -riumph, would retire from the corporation board and from his executive responsibilities in May 1973. Bill Davis would succeed him as Managing Director of Rover-Triumph and A. B. Smith would become Non-Executive Chairman. In April 1973 The Times newspaper revealed that British Leyland was seeking local authority planning permission to build a 1,000,000sq ft car assembly plant at Solihull, Warwickshire, on land adjoining the main factory complex of Rover. It would be the second stage in an estimated £25m expansion programme, designed to double Rover output of 2000 vehicles a week, within five years. The media were now being told that the car – the Rover SD1 – would be produced at a rate of 2000 cars a week, or 100,000 a year. The first stage would be the construction of a 230,000 square foot paint plant. Work was expected to start on this within a few weeks, and was scheduled for completion in 1974. Triumph at Coventry, was expected to play a key role in Rover’s expansion as a supplier of components, including engines and transmissions. It was rumoured that Triumph’s Coventry factory would shortly receive considerable investment in new, highly-automated production machinery. Assembly of cars would continue at Triumph. Factory sources were at pains to point out that Triumph cars would take on an even more important long-term role when the existing over-crowded range of sports cars and saloons was thinned out and sharpened by newcomers. Quietly, and without an official announcement, the Specialist Car Division, comprising Jaguar, Rover and Triumph, had been broken up. Rover and Triumph had been pulled together into one company, Rover-Triumph, under a new Chief Executive, Bill Davis, the former Managing Director of Triumph. 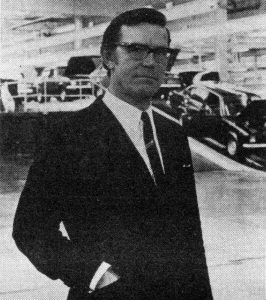 On 13 May 1973 Sir George Farmer left both British Leyland and Rover after a job well done. He had presided over a golden age for the Solihull concern, a golden age that would not return until the TATA era. He had reached the mandatory retirement age at British Leyland, but he soon took up the post of Chairman of Zenith Carburettors combining this with his continuing chairmanship of the National Theatre. 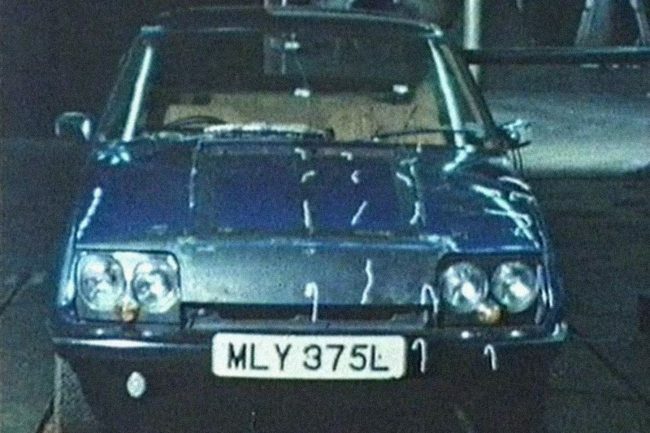 To mark its fifth anniversary, combined with the launch of the new Austin Allegro, which was expected to top the sales chart, British Leyland went onto a public relations offensive, which was no doubt organised by Keith Hopkins. On 15 May at the Savoy Hotel, Lord Stokes gave a speech outlining the great British motor industry he was in the process of creating. On the subject of Rover and Triumph he said: ‘We are going to spend large sums at Solihull on a major new manufacturing and final assembly facility, one and a half a million square feet, for a new Rover car. Rover’s role in the British Leyland product programme will be very much what it is at present, the medium-sized quality saloon, but in a much bigger way. Stokes also disclosed that although he would continue for the time being as Chairman and Chief Executive, John Barber, then a Joint Deputy Managing Director, had been appointed Executive Deputy Chairman and Deputy Chief Executive. George Turnbull, also a Deputy Managing Director, became Managing Director responsible to John Barber. Lord Stokes also disclosed that the corporation would soon be moving to a new headquarters building, the 14-storey Burmah Castrol House in Marylebone Road, London. It would be renamed the Leyland Building and corporate staff would begin leaving the existing cramped office block in Berkeley Square in the autumn of 1973. The next month, Rover SD1 body tooling began. It was hoped to start pre-production in January 1975 and pilot build in March 1975. 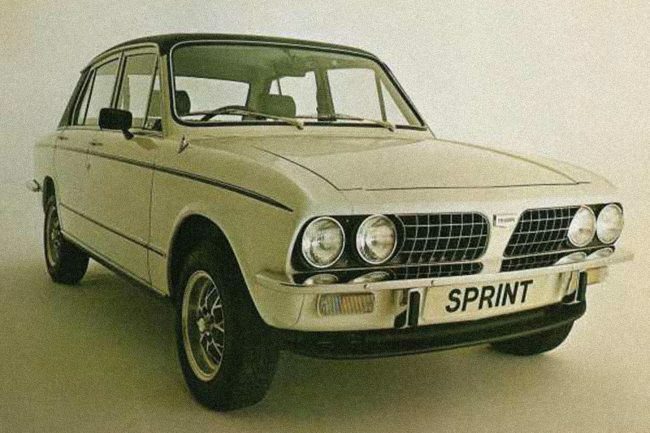 On 19 June 1973, the Triumph Dolomite Sprint was announced. This clever piece of engineering utilised a 16-valve cylinder head, but employed a single-overhead camshaft mated to the Triumph/Saab slant four engine, now increased to 1998 cc. With 127bhp on tap, it reinforced the sporting image of Triumph. A new car launch meant labour trouble in the world of British Leyland. At the Triumph, Coventry, factory 260 workers had to be sent home and production of a number of models, including the GT6, Spitfires and 1500 cars, was disrupted because of a strike by 38 paint-shop workers. Predictably managers and engineers, as with the Stag V8, blamed the Triumph workforce, but it could be argued that this should have been taken into account in the design stage to avoid such reliability problems. It has been commented that the Dolomite bodyshell did not exploit the true potency of the 16-valve Sprint engine, which was certainly true. Rover-Triumph realised this and had already earmarked the Sprint engine for the Triumph TR7. On 22 June, the last 15 Rover P5B’s came off the production line at Solihull. 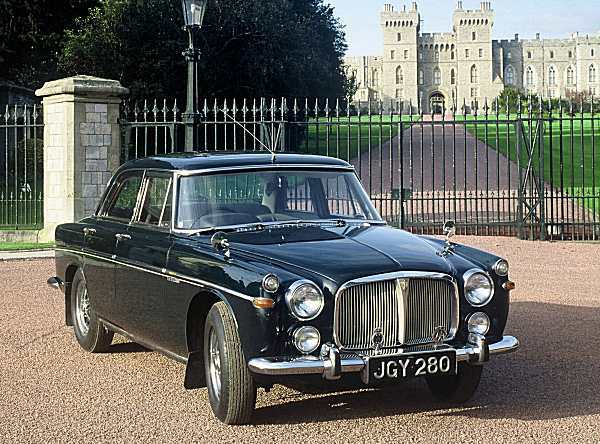 This temporarily marked the end of Rover as a luxury car manufacturer, while it now concentrated on the executive Rover P6, forthcoming SD1 and the Land Rover family. In time the Range Rover would be moved upmarket and fill the void left by the P5B and the cancelled P8. In June 1973 the P5B saloon cost £2699 while the Range Rover cost £2413, some 11.8 per cent cheaper. The next month Lord Stokes was interviewed by Graham Robson for Autocar, the main subject being Triumph. He said: ‘Rover and Triumph are being merged together. We have one executive in charge now. This is because we believe that Rover and Triumph are very complimentary makes, and we have by co-incidence a Rover 2000 and a Triumph 2000, both of which were designed before we took over the Rover company. ‘I think it makes sense not to perpetuate that in the future – two similar cars of exactly the same capacity. Rather we are going to put all our resources at Triumph and Rover into making cars, which are better and do not compete with each other. I’m not going to give too much detail of what it will be, but there will also continue to be Triumph sports cars as well. Next came the subject of production and sales. He said: ‘At first, when we took over Triumph, we had a problem selling the cars. It was only when we started changing the models, and began to get the engineering and quality improved, that we began to build in volume and overcome production difficulty through not being able to build enough; we still have that difficulty – we are not making enough Triumph cars, not as many as we can sell. In July 1973 work began on the new assembly hall intended to build the Rover SD1 at Solihull. The design of the £31 million plant had been reduced in height and would be surrounded with spoil heaps to pacify the good residents of Solihull. On 15 August, the MGB GT V8 was announced, although it was never marketed in the North American market. On 6 September, British Leyland announced that George Turnbull had resigned as Managing Director and its Austin-Morris division ‘by mutual consent’, prompting a major reorganisation of top positions within the corporation. His resignation came only a week after that of Filmer Paradise, the colourful Director of Sales at Austin-Morris, and left John Barber, the Deputy Chairman, as the undisputed number two to Lord Stokes, the Chairman. With the departure of George Turnbull, Bill Davis was appointed to the main Board in the newly-created position of Director of Manufacturing. Formerly Managing Director of the Rover-Triumph division, he would be responsible for worldwide manufacturing activities and for the volume manufacturing divisions, which took in the power and transmission division and the body and assembly division. The vacancy at the top of Rover-Triumph left by the departure of Bill Davis to the main Board, was filled by 58-year-old Bernard Jackman, previously the Director of Manufacturing at Rover-Triumph. Despite the changes at the top, business went on as normal. On 24 September, the first road-going Rover SD1 was registered as TLB 251M, following on from the mule MLY 375L (above), which had been used for various road testing duties and wind tunnel testing. During 1973, the decision had been taken not to introduce the PE146/166 six-cylinder engines in the Triumph 2000/2500. This was followed on 28 September by a meeting of the Rover-Triumph Board with John Barber, the BLMC Deputy Chairman, in attendance. On the agenda was the ongoing development of the Triumph SD2. Rover-Triumph had decided to go with the David Bache in-house design rather than that offered by Pininfarina. 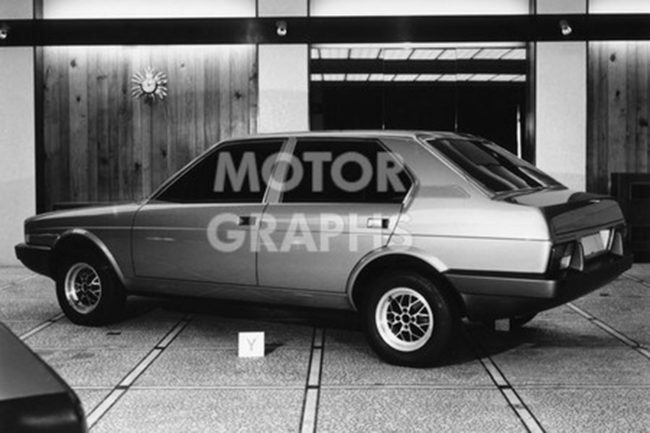 He also suggested that the Pininfarina design ‘might be a contender for ADO77 as the dimensions are the same.’ ADO77 was a Morris Marina replacement. Also John Barber suggested that he would like to see another styling firm, Giugiaro, tender for British Leyland contracts. At this point British Leyland’s relationship with Michelotti seems to have ended. On 1 October the Rover 2000 was replaced with the Rover 2200. This new P6 derivative was a consequence of the aborted twin-cam 16-valve engine intended for the P10 project. Rover created a simpler single overhead camshaft engine from the larger 2204cc block they had developed and installed it in the P6. On the same day British Leyland claimed that they could have boosted their car sales by 25 per cent during 1973. The only snag was that they couldn’t make enough cars. Explaining this, Deputy Chairman John Barber said that industrial trouble within the company had lost some sales. But sales had been hardest hit by troubles from outside. And even with a clean production run, they would not have been able to meet the unprecedented demand for their cars at home and overseas. John Carpenter, Sales Director of Rover-Triumph, said that he had never known a time when sales were so buoyant. ‘The demand is there, but we cannot get the production at the moment,’ he added. As the Yom Kippur war broke out in the Middle East and the Edward Heath-led Government tried to limit wage increases to 7 per cent, Rover -Triumph announced the Triumph 1500 TC. This was the rear-wheel-drive car which replaced the front-wheel-drive 1500. Then, in response to the West’s support of Israel, Saudi Arabia, Iran, Iraq, Abu Dhabi, Kuwait, and Qatar unilaterally raised posted oil prices by 17 per cent to $3.65 per barrel and announced production cuts. This was the start of the First Oil or Energy Crisis, as the western world’s easy economic ride on the back of cheap oil ended. By 12 November the Energy Crisis had pushed up the price of coal. On this day, the National Union of Mineworkers began an overtime ban in pursuit of a pay claim. The Government proclaimed a State of Emergency following the ban on overtime by electricity as well as coal workers. Eight days later, a voluntary 50 mph speed limit was introduced in the UK followed by the issue of petrol coupons. The 50 mph speed limit soon became law for a minimum of four months, as lighting was curtailed in shops, offices and streets and heating was restricted in commercial premises. Things got worse. The Heath-led Government announced that, because of the ongoing dispute with the National Union of Mineworkers, stringent measures to conserve electricity were to be introduced – from 17 December, industrial and commercial users were to be limited to a total of five days’ consumption during the fortnight ending 30 December. From 31 December, they would be limited to three specified consecutive days each week and prohibited from working longer hours on those days. Workers on a three-day week would be entitled to one day’s unemployment benefit in the second week and two days’ benefit in subsequent weeks. Essential services (restaurants, food shops and newspapers) were exempt. Slade soared to the top of the singles chart with ‘Merry Christmas Everybody’ as Britons faced a bleak New Year of power cuts, fuel shortages and speed limits – and, if you could refill your tank, it would cost more and one was limited to 50mph. That December, the last Triumph GT6 rolled of the production line as the ‘Barber Boom’ went bust amid rising inflation, while the labour movement squared up to the Heath Government in a long-awaited showdown that had been brewing since the Industrial Relations Act became law in 1971. The SD2 whilst obviously carrying over SD1 features to me looks flawed, while the SD1 has style the SD2 looks rear heavy and quite cheap, looking more like one of the East European reskins of the 70s and 80s. To me the 5 Door Cavalier mk2 did a far better job at down sizing the SD1 look into a mid size package. As the intention was to sell them alongside each other in the same dealer and the cars were aimed at different market segments it made much more sense to exploit the halo effect of the SD1 for the SD2 than to make them distinctive. I don’t think they had a clear strategy, certainly selling from one dealer network a mishmash of “distinctive” products they ended up with after nationalisation gave them no competitive advantage. My view is that in the medium term a 3 brand premium line up was too many, and in the medium term cars should have moved to being Triumph brand being used for the Sd1, Sd2 alongside the Jaguar branded XJ with Rover being moved over to Land and Range Rover products, plus a “Road” Rover as a luxury (soft roader) estate using a US compliant SWB XJ6 platform, which would mean the XJC could be sold in the US and so enable the XJS to be given a more sporty edge. 1973 was the year that started with so much optimism, membership of the EEC would mean an exports bonanza and faster economic growth, the economy was booming, and British Leyland seemed very optimistic about the future with new models and new factories. Then by the end of the year, it was power cuts, the economy grinding to a halt due to the energy crisis, and 1974 seeing British Leyland going bankrupt. I still chortle at the memory of Patrick Jenkin , the Minister for Energy , advising us all to save electricity by shaving in the dark !! Absolutely love the Pininfarina SD2 design. The Bache design was overdone and quite sloppy. It reminds me of a late 970s Alfa Romeo with a touch of TR7. Triumph as a brand would fade away as the seventies went on. Apart from the TR7, no new models were introduced after 1973, and by the end of the decade, only the ageing Dolomite remained as a mass produced Triumph, and the announcement that Canley would close in 1980 meant the end of the Dolomite. It seemed British Leyland wanted Rover as a premium brand and there was no room for Triumph. Triumph should’ve replaced Austin-Morris as BL’s main brand, or replaced Morris as a maker of more conventional cars (but with added sportiness and aspirational quality – a mix of VW or 80s Peugeot to Austin’s Citroen. Rover to take on Audi/Volvo/Lancia, Jaguar to take on Merc/BMW, MG to have the corporate sports cars all to itself. As I have said on previous blogs why did BL choose Rover as it’s brand when it had hardily any street recognition in the USA. Triumph had been selling cars for a while and the sporty image of it’s cars was a better fit than Rover for the export market. It BL were going after Mercedes and BMW you needed a brand that was recognised. Triumph should have been a brand for sports cars and saloons, while Rover should have just been used for the Landie and Rangie. However I have a theory that Rover was chosen with influence from Mr Lyons – he knew that Rover was an unknown brand in the US and this meant he had more chance to sell his beloved Jags there if there was not much internal competition. I think all the stories on here show that the British car industry was run by weak management. Surprised no one has asked but what is the blue car in the wind tunnel above the disguised SD1 prototype? Odd as it also looks like it has ‘disguised’ lights, so why is it in a wind tunnel??? That’s exactly what I thought. Same number plate but narrower – also the headlamp space height to the bonnet looks much taller than the SD1. ….and presuming the disguise lights are just that – why does it look like its in a wind tunnel.